As you may know, the Golden part of the equation is NOT, yet the poodle part IS. Like other hybrid breeds, the answer to that question depends on which genes triumph in the race to the front. In this post, we will dig deeper into the Goldendoodle to uncover its physical traits, temperament, common health issues and some other fun facts and tips you’ll want to know! Related: Is Shiba Inu hypoallergenic? Since the Goldendoodle is a cross between the Golden Retriever and Poodle, its physical characteristics can vary from breeder-to-breeder and even littermate-to-littermate. The coat of the Goldendoodle will be wavy to curly and about two to three inches in length. The breed will have longer hair on the tail, body, ears, and legs (legs may be slightly feathered) and the hair on the head and muzzle tends to be shorter. The coat can come in a variety of colors including; black, copper, white, cream, gray, golden, apricot, or red (although golden seems to be the typical coat color). White can often be found on the feathering, and the Goldendoodle’s coat tends to lighten with age. The size of the Goldendoodle varies (depending on the size of the Poodle). Standard (45 to more than 100 pounds). Since this dog is a hybrid, there is no guarantee of its appearance or size. The Goldendoodle has soared in popularity for a good reason; its personality is pleasing to even the most novice of dog owners. 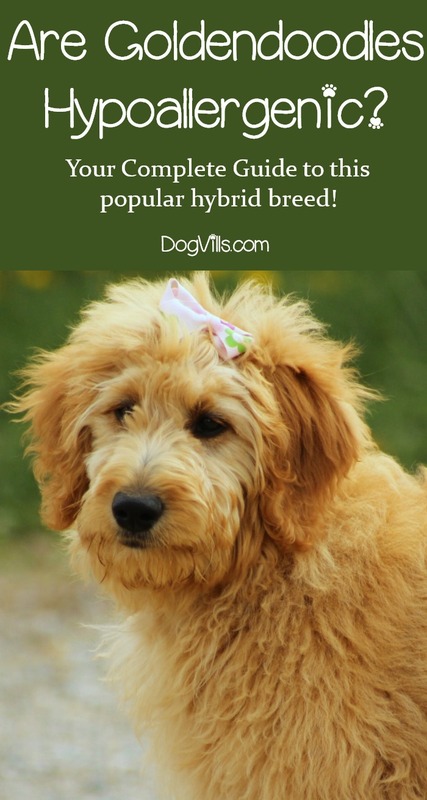 This hybrid tends to be intelligent and a quick learner; however, it is recommended to use early socialization and positive reinforcement to train your Goldendoodle. Usually, this pooch is also highly affectionate, gentle, patient and makes a wonderful family pet. 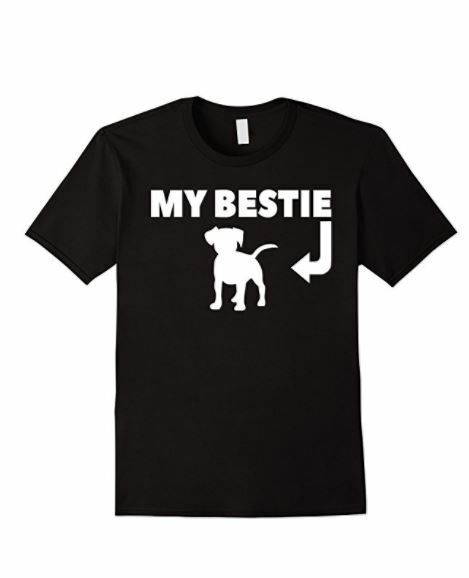 It loves being around its humans and is loyal and can be highly obedient. The Goldendoodle does have a playful side and can even be mischievous if the mood hits. This dog needs moderate exercise in the form of daily walks, runs, playtime in the park, or (if you so desire) get your pup into agility training which will exercise both his body and mind. Also known as slipped stifles, this condition is when the kneecap becomes dislocated from the bone at the joint, which causes it to slide in and out of place. The condition can cause pain and crippling. This condition can be caused by the floppy nature of the dog’s ears, which will trap moisture. Check and clean the ears regularly to prevent infections. This is an inherited condition when the thigh bone doesn’t fit snugly into the hip joint. This condition can occur in one or both of the rear legs. Arthritis can also develop as the dog ages. This degenerative disease is believed to be caused by abnormal growth and development, which results in a malformation and weakness at the elbow joint. The disease varies in severity from arthritis to lameness. This is an eye disease that involves the gradual deterioration of the retina. Early in the disease, affected dogs become night-blind then they lose their sight during the day as the disease progresses. A blood disorder that affects the clotting process which causes symptoms such as nosebleeds, bleeding gums, prolonged bleeding from a surgery, prolonged bleeding during heat cycles or after whelping, and occasionally blood in the stool. This disorder is usually diagnosed between three and five years of age. Inhalant allergies: which are caused by airborne allergens such as pollen, dust, and mildew. A preventable condition that occurs when the dog eats a large meal, then drinks large volumes of water and exercises vigorously. Bloat occurs when the stomach is distended with gas or air and then twists (torsion). The dog is unable to belch or vomit to rid himself of the excess air in the stomach, and the normal return of blood to the heart is impeded. Death can occur from this condition if left untreated. Learn how to prevent and treat bloat in dogs! This is a disorder of the thyroid gland. It does not produce enough of the hormone called thyroxine that controls metabolism (the process of turning food into fuel). Be sure to seek out a reputable breeder for your Goldendoodle to ensure these illnesses will not be a problem for your fur baby. Affiliate links included below. If you make a purchase we will earn a small commission. Thanks! All canine companions will need things to keep it happy and healthy. If you have (or are thinking about adopting) a Goldendoodle, here is a list of products you will want to have on hand. Treat your Goldendoodle to a luxurious bath at home with any one of the Wahl shampoos . These products are made with natural ingredients and are gentle on the skin and hair. They are pet-friendly, paraben free, and PH balanced for a beautiful clean every time. Don’t let your Goldendoodle get infected ears, use Spring Pet Ear Cleansing Solution to keep your dog’s ears healthy. With Aloe Vera and Vitamins this ear cleaner helps restore the ear canal to a healthier state while reducing itching and redness. It has a fresh cucumber melon scent to help make ears smell better and is endorsed by the NASC (National Animal Supplement Council). We all know that feeding our dogs a high-quality kibble is the building blocks of good health. For your Goldendoodle choose food that has protein as the first ingredient. Taste of the Wild is grain-free and uses real meat as the #1 ingredient. It also includes vitamins and minerals in the form of fruits and vegetables for natural antioxidants and fatty acid blend for your dog’s skin and coat. Every good deed deserves a reward. When training your Goldendoodle, make training a fun and a positive experience by using Pet Botanics Training Rewards . These low calorie, yet tasty and satisfying chews will make your Doodle eager to please. They come in a variety of flavors and are easy to carry with you wherever you may go. To help your puppy pass the time, try the IQ Treat Ball by Chlebem (pictured below). 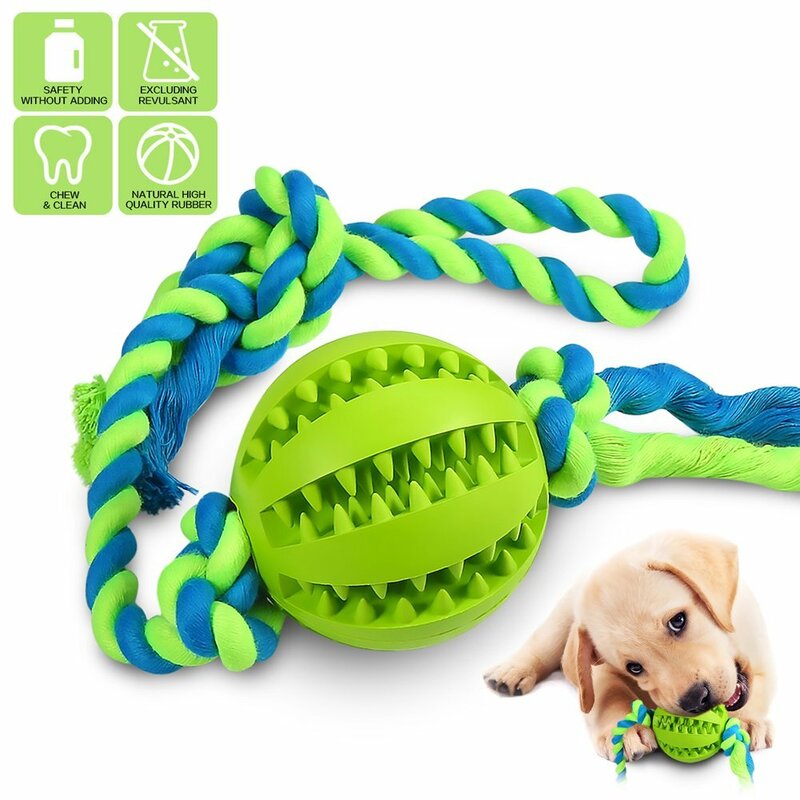 This durable ball can be stuffed with your pup’s favorite treats for an afternoon of boredom busting fun. The non-toxic rubber is sturdy enough to withstand some tough chewing-action, while the nubby surface helps clean teeth. Get your Doodle runnin’ with the Chuckit Launcher by Canine Hardware . Great for that 20 to 30 minutes of exercise your Doodle needs, this easy-to-propel launcher will give your dog the long-distance fetch action he craves. Orthopedic Memory Foam Bed by Joyelf will provide your pooch with hours of comfort. It’s made of durable, flame retardant, antibacterial material that will hold its shape. The non-slip bottom makes it easy for your dog to jump in-and-out and the beautiful design will fit into most decors. Need an allergy-friendly bed? Check out our list of the best hypoallergenic dog beds & blankets! Want to know some cool facts about the Goldendoodle? We got ’em! The Goldendoodle was developed in the 1990’s and has soared in popularity to number five – it may not be a purebred, but that hasn’t stopped pet parents from loving that furry mug. Both the Golden Retriever and Poodle are ranked as being “brainy;” the Golden is number four, and the Poodle is number two. So don’t be surprised when your Goldendoodle is doing your taxes (well maybe not, but he’ll pick up on things like obedience training and tricks, real quick). Not familiar with this term? According to Goldendoodles.com, hybrid vigor” is when the first generation (F1) crosses (the product of a Golden Retriever and Poodle) are healthier than each of their parent lines. You may know them as the Goldendoodle, but did you know this designer dog is also called the Golden Poo, the Goldie Poo, and the Groodle? Just like snowflakes in that no two are identical, the same applies to the Goldendoodle. However, when a Goldendoodle is bred with another Goldendoodle, its characteristics will become more predictable. If you’re a pet lover, then you know there’s nothing better than snuggling your face into the soft fur of a canine pal. However, if you are also an allergy sufferer, this simple act of affection could send you into an itchy, watery-eye, sneezing fit. According to “science,” no animal is genuinely ‘hypoallergenic,’ because every pet still possesses the two essential elements that trigger allergies; dander and saliva. The good news is (despite the pessimism of science) there are many dog breeds that have less of an ill effect on people with allergies. Since the Goldendoodle is a hybrid between a Golden Retriever and a Poodle, oodles of the Poodle is key to having a pooch that is less likely to cause a reaction. Now that we’ve discovered all the Goldendoodle has to offer, perhaps you have found yourself wanting one? This hybrid makes a wonderful family pet, are great with kids and can even adapt to apartment living (with enough outside exercise time). If you have decided to add a Goldendoodle to your family, be sure to seek out a reputable breeder or a rescue organization. Did we answer your question of, “Are goldendoodles hypoallergenic?” Do you already have a Doodle? Then drop us a line in the comment section. We’d love to get some inside info!